Web developers design and develop websites for business entrepreneurs and large-scale business organizations, as it works as a digital storefront for them. Website's quality, features, and services make it appealing, if it doesn't look appealing customers keep walking, while it has a mobile responsive site and quick to load feature. Business organizations and their owners use website to let their customers educate about their products and services. When it comes to design and develop small business organizations and startup companies, they always end up thinking that they can't offer such features and services as large businesses have represented on their business websites. But WordPress is a solution to them. Now you must be thinking, why WordPress? WordPress is a free platform that is commonly known as content management system. As you upload media and create pages it organizes all the content uploaded to your website. 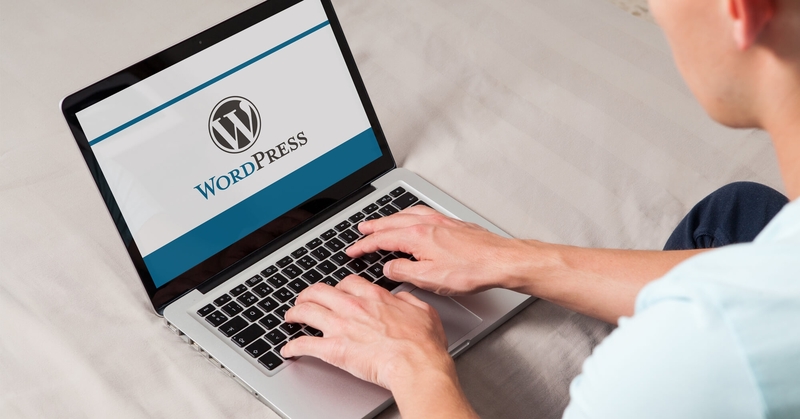 If you are using another website for blogging, you'll be able to use your website for blogging, and you don't need to host unique website, WordPress is the perfect platform for blogging. You just need to set up a page and then start adding page posts to that page. WordPress constantly checks for updates to maintain content and website's security. An up to date website with latest norms and policies keeps your content and website secure. You will find yourself stress-free as your website updates automatically. Developers can contribute in WordPress by simply adding plugins, updates, and themes and it results in constant improvement and betterment of your website. These all benefits are available for free. SEO (search engine optimization) friendly means, easily searchable by Yahoo and Google. WordPress offers simplest ways possible to search or optimize your website in the easiest way possible. If you learn and master SEO, it will take time investment, better to choose WordPress. The CMS like WordPress is not new in the world of web development and altogether we can't mention it as the perfect CMS. The web developers have given every possible effort to improve it and make it problem free. Its engineers had given time over the years to age the system into timeless CMS. As a small business, you hire a developer to build your business website and they make a complex website that is hard to manage. WordPress has become the best choice for every developer as they know how to code in it. They can fix problems whenever it pops up. WordPress is important for small businesses because the website if fully functional, scalable and visually appealing. It offers you many possibilities to enhance consumer rating and visitors on your site. Because every business needs a website which grows as your business do.